Here's the mid-term review after driving the Maruti Suzuki Vitara Brezza for more than 3500 km. 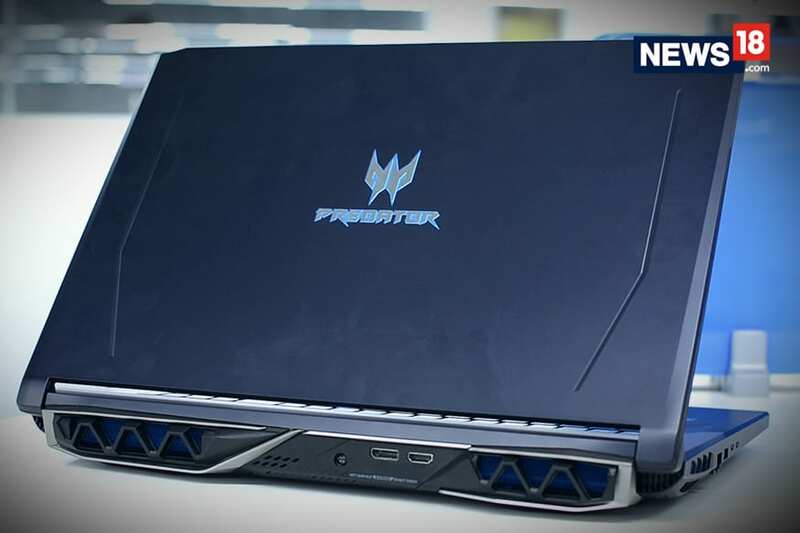 Here’s what we liked during this period and the problems we faced! 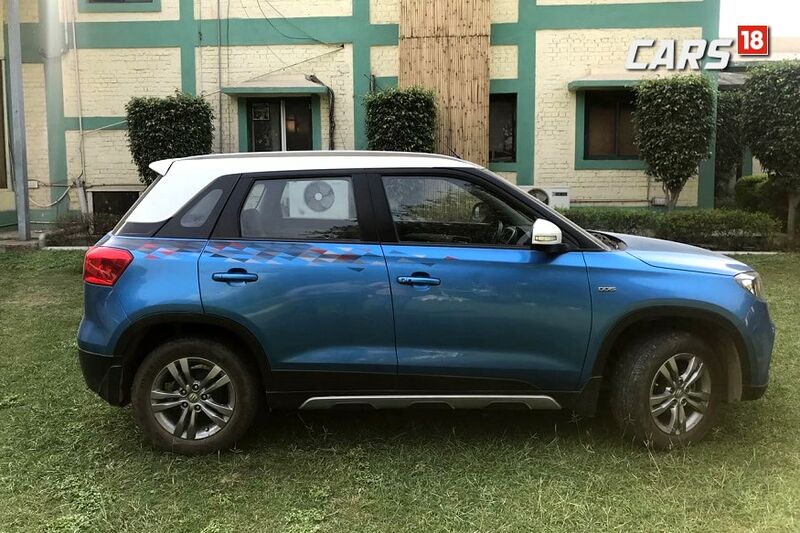 Maruti Suzuki Vitara Brezza, the most-selling compact SUV in India has two big things working its way – 1) It is a Maruti product and 2) It is a compact SUV, the fastest growing segment in India. A lot of people, who are either upgrading their car or buying a new car want to own a compact SUV and their reasons are obvious. 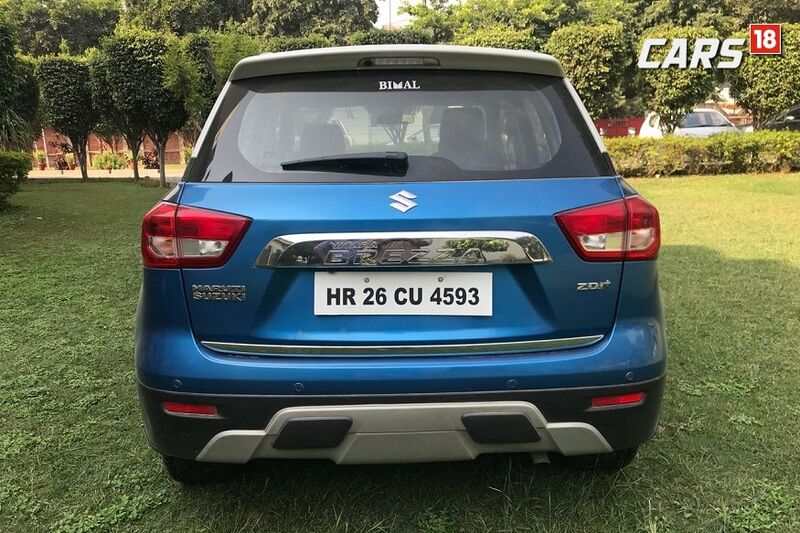 A compact SUV not only tackles the bad roads in India, but is also spacious, and adds to a status value of a middle-class Indian, the biggest market for any manufacturer to tap for. Maruti, being a prominent player in the country (with over 53% market share) catered to this growing demand of consumers by launching their Vitara Brezza compact SUV in March 2016. Within 20 months of its launch, more than 2 lakh people bought this car. A lot of queries from new buyers come to us regarding the Vitara Brezza and this is why we opted to drive the SUV for a period of at least a couple of months to realize its full potential, and shortcomings. We already have published our initial review of the car and this is the mid-term review after driving the car for more than 3500 km. Here’s what we liked during this period and the problems we faced! Mileage – For an Indian consumer, mileage is probably the most important reason to buy a car after the budget. Maruti cars have long been known for delivering respectable mileage numbers and the Maruti Suzuki Vitara Brezza impressed us a lot by constantly delivering 17+ kmpl. Out of 3500 kms driven, 60% was city driving and 40% was highway driving. For a car of this size, such mileage numbers are really good, considering I am not a light-footed driver in any possible way. Spacious – Maruti Suzuki Vitara Brezza comes with a spacious cabin, even though it’s not that big from the outside. Sitting in 5 adults is not a big hassle, as the rear passengers get enough shoulder room, along with ample legroom and headroom. Ride quality – The Maruti Suzuki Vitara Brezza comes with a balanced ride quality, good enough to absorb most of the crevices on some of the worst roads you can ever travel. Also, the sound insulation from the atmosphere and engine cabin is equally impressive, something that one can vouch for. Nimble Steering – SUVs are never associated with having good city handling, thanks to heavy weight and wide tyres, that results in a heavy steering. Now the Vitara Brezza is no SUV in terms of the weight 1200kg), neither it has very broad tyres (205/60 R16), but it's still bigger and heavier than any of the hatchbacks in the market. However, the handling is at par with hatchbacks, good enough to tackle city traffic. Color changing instrument console – The instrument cluster with MID display and analog dials comes with color changing option, ranging from white, yellow, red, and so on. It’s a nice touch for someone who loves to fiddle around with car quite regularly. Lack of Automatic/AMT gearbox – The Maruti Suzuki Vitara Brezza is not available with a petrol motor and only comes with a 1.3-litre DDiS diesel engine. Since there’s no petrol engine, Maruti doesn’t offer an AMT or an automatic gearbox in any of the variants. Now that’s something not expected from Maruti as the company offers AMT gearbox with same 1.3L diesel engine in the newly launched 2017 Dzire compact sedan. Might be the company has something in pipeline, but for now, dodging the city traffic with clutch is a problem in Vitara Brezza. 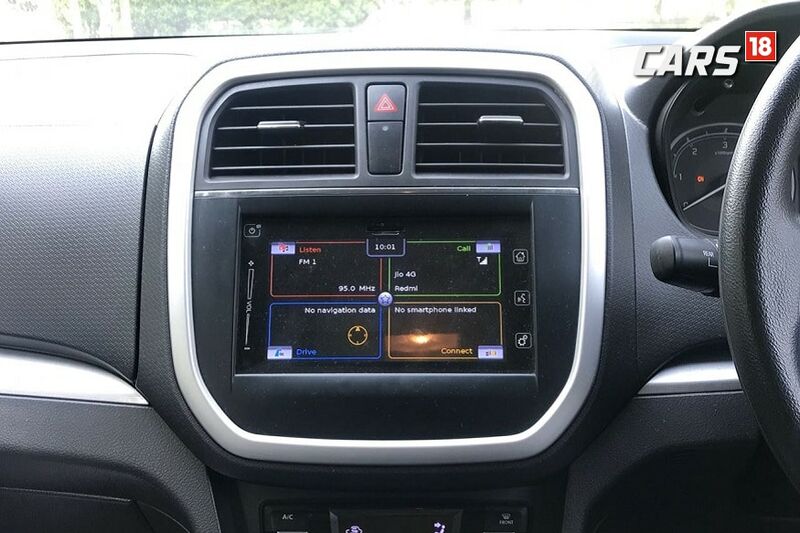 Infotainment system – The Maruti Suzuki Vitara Brezza comes with a touchscreen infotainment system, that’s intuitive to operate and has a good sound output. However, the system hanged quite a few times while switching FM channel using steering mounted controls. 3rd gear trouble – It might be a problem related to this particular unit, or it might be a problem of clutch (considering how media units are driven), but we did face trouble with the gearbox while upshifting from 2nd to 3rd gear. It was not a regular problem, but quite often, the gear stick took some effort to upshift. Door closing problem – Last but not the least is the build quality of Maruti Suzuki Vitara Brezza. 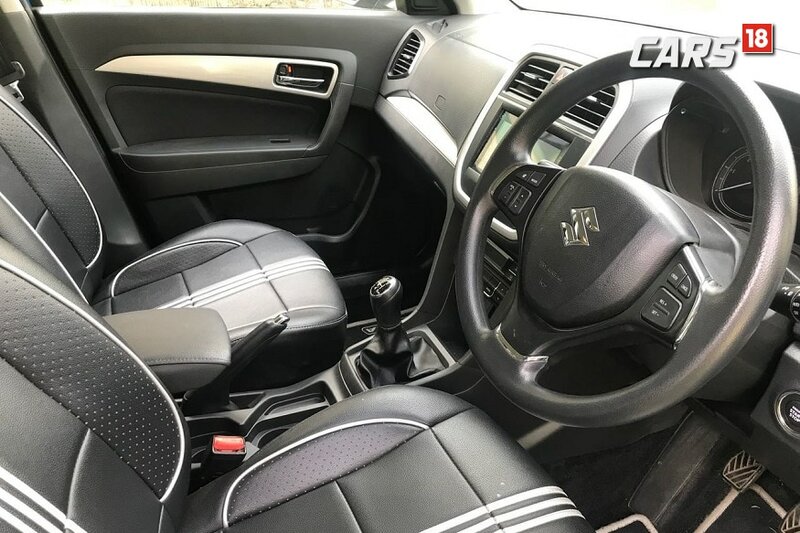 While the overall build quality is improved as compared to the previous Maruti cars, there’s still scope for improvement, since Maruti now offers cars with better built quality, ones which were launched post Brezza. However, the real problem that we suffered was with the closing of the passenger doors, which took some hard work to close, a problem we saw in some heavy SUVs. Overall, the positives of the Maruti Suzuki Vitara Brezza overpowered its handful of negatives. We will be driving the car further to give you our final impression of the compact SUV. So keep a tab here and wait for our final impressions.